25. תְּשׁוּקַת הַנְּקֵבָה לַזָּכָר אֵינָהּ אֶלָּא כַּאֲשֶׁר נִכְנֶסֶת בָּהּ רוּחַ וְשׁוֹפֶכֶת מַיִם כְּנֶגֶד הַמַּיִם הָעֶלְיוֹנִים הַזְּכָרִיִּים. כָּךְ כְּנֶסֶת יִשְׂרָאֵל לֹא מְעוֹרֶרֶת הִשְׁתּוֹקְקוּת לַקָּדוֹשׁ-בָּרוּךְ-הוּא אֶלָּא בְּרוּחַ הַצַּדִּיקִים שֶׁנִּכְנָסִים בְּתוֹכָהּ, וְאָז נוֹבְעִים מַיִם מִתּוֹכָהּ כְּנֶגֶד מֵי הַזָּכָר. וְהַכֹּל נַעֲשֶׂה תְשׁוּקָה אַחַת [וַאֲגֻדָּה אַחַת] וְקִשּׁוּר אֶחָד. וְזֶהוּ רָצוֹן שֶׁל הַכֹּל וְהַטִּיּוּל שֶׁהַקָּדוֹשׁ בָּרוּךְ הוּא מְטַיֵּל עִם נִשְׁמוֹת הַצַּדִּיקִים. 26. בֹּא רְאֵה, כָּל אוֹתָן תּוֹלְדוֹת גַּן הָעֵדֶן לֹא יוֹצְאִים מִצַּדִּיק אֶלָּא כְּשֶׁנִּכְנָס בַּתֵּבָה הַזּוֹ בְּחִבּוּר אֶחָד, וְהַכֹּל גְּנוּזִים בָּהּ, וְאַחַר כָּךְ יוֹצְאִים מִמֶּנָּה. גַּם כָּאן נֹחַ אִישׁ צַדִּיק לֹא הוֹצִיא תוֹלָדוֹת לִפְרוֹת בָּעוֹלָם עַד שֶׁנִּכְנַס בַּתֵּבָה, וְהִתְכַּנְּסוּ הַכֹּל בָּהּ וְהָיוּ גְנוּזִים בָּהּ, וְאַחַר כָּךְ יָצְאוּ מִמֶּנָּה לִפְרוֹת בָּעוֹלָם וּלְהִתְקַיֵּם בָּאָרֶץ. וְאִלְמָלֵא שֶׁיָּצְאוּ מִתּוֹךְ הַתֵּבָה, לֹא הִתְקַיְּמוּ בָעוֹלָם. The desire of the female for the male is expressed only when the Light of the male at the level of Ruach enters the female. The female releases female waters against the upper waters of the male. 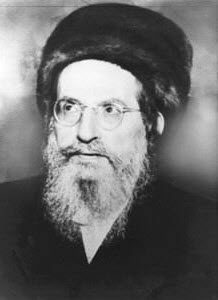 The desire of the Shechina in Malchut for the Light of the Endless is awakened when the Tzadikim make connections at the soul level of Ruach. Malchut then releases waters against the male waters. The Light and the Shechina in Malchut come together, becoming one desire, fulfilling the will of the Holy One Blessed be He. Female waters are called ‘Mayin Nukvin’. They represent the desire of the vessel for the Light with the aspect of Chassadim. It makes the vessel ready for the great Light. The male waters are called ‘Mayin Duchrin’ and it’s like having a sperm of a male entering the egg in the womb of the female. Only then the Light comes in and brings life into the vessel. Water represents sharing and desire for balance. The unification of man and woman is a higher level process of revealing and drawing Light. In preparation, the man and woman should raise the desire using spiritual connection to draw the aspect of Ruach and righteousness. The seeds that the man shoots into the womb carry Chassadim. The woman should be ready and welcoming the man, and prepare the vessel for the Light that will come into the vessel during the unification. The man should meditate to transfer to the woman the Light at the level of Ruach. This is especially strong at the first unification of a bride and groom, at the night of their wedding. The process of Kiddushin (Seven blessings under a Chuppah) elevates the man and merits him the soul level of Ruach. The bride should have purified herself in a Mikveh in preparation for the highest level of unification of their lives. The Mikveh is a body of water that consists of lower waters (regular water) and upper waters, which are rain waters gathered into a special storage vessel, called ‘otzar’, which means ‘treasure’. These waters should reach the vessel without the handling of people that would influence negative consciousness.